DU LLM 2019 - The University of Delhi will announce the application form of DU LLM 2019 on May 1, 2019. The last date to fill the application form is yet to be notified by the university. The university will conduct the entrance exam for DU LLM 2019 (two year) in the second week of June 2019 for admissions into its LLM programme. Candidates seeking admissions into the university’s LLM programme need to appear for and qualify DU LLM 2019. The examination will be held in online mode and will consist of multiple choice based questions. The duration of LLM 2019 will be two hours and its linguistic medium will be English. Following the announcement of the results, the university will publish DU LLM 2019 cut off. Candidates will be required to meet these cut offs in order to be called for DU LLM 2019 counselling. To finalize their admissions, candidates will have to report to the counselling venue on the mentioned dates and furnish requisite documents. Candidates who will absent themselves on the day of counselling will be denied admissions.Candidates applying for DU LLM 2019 will be competing for 60 seats. Another important point which candidates should keep in their minds is that the university has mandated certain eligibility requirements for the LLM programme. Applicants should go through these eligibility requirements and ensure that they fulfil them before proceeding with the application form. DU LLM entrance exam seeks to test candidates’ legal aptitude and their suitability for the programme offered by the university. The entrance examination is conducted for candidates who aspire to secure a seat in the programme. For more information related to DU LLM 2019 like important dates, application process, admit card, result, counselling, and so on, candidates can read further. Given in the table below are the important dates of DU LLM 2019 like application, exam, admit card, result, counselling dates, etc., dates. Candidates are advised to have to these dates on their tips, since the below mentioned events are crucial to the whole admission process. Before proceeding with the application form of DU LLM, it is imperative that candidates go through the eligibility criteria for the two year LLM programme. Candidates should ensure that they fulfil the eligibility criteria, else their admissions will be forfeited by the university. Candidates should have a three year/five year LLB degree from any university which is recognized by Delhi University with at least an aggregate marks of 50% or equivalent point (General category) and 45% or equivalent point (SC/ST/OBC/PWD categories). As per the orders of the Supreme Court, there is no age limit for candidates wanting to pursue law programmes. The University of Delhi will be announcing the application form of DU LLM 2019 on May 1, 2019. The application process will be conducted solely in online mode. The last date to submit the DU LLM 2019 application form will be notified by the university. The mode of application fee will also be online and the following options will be available to candidates to remit the application fees - debit/credit card/net banking. Candidates will firstly have to click on the official link to fill the application form. Then they will be required to complete the registration process by entering their valid email ID, mobile number, and other details. They will also have to create a password of six characters. Upon submitting these details, candidates will be sent a confirmation link on their email ID. Using the credentials generated, candidates will be required to login to the PG admission portal to complete the application form of DU LLM 2019. Next, they will have to upload the following documents. After uploading these documents, candidates need to click on the ‘submit my profile’ button. Now they will have to click on the ‘Apply in New Course’ button to enter the course details. At this stage, candidates will be asked to enter important details related to education, course/programmes, and so on. After entering all the details, candidates will have to click on the ‘save application’ button and check if all the details entered are accurate or not. To pay the fees for the DU LLM 2019 application form, candidates will have to click on the ‘pay fee’ button. Following is the fee structure. After remitting the fees, the application process will be complete. Candidates are advised to take out a few printouts of the DU LLM application form and retain them for further references. The university will issue the admit card of DU LLM 2019 in online mode in the last week of May 2019. The admit card will contain all the vital details about the candidate and the examination he/she is appearing for. It is necessary for candidates to carry their admit cards along a with a valid identity proof to the examination centre, else they will not be allowed to sit for the examination. Candidates will firstly have to click on the official link to download the admit card. After clicking on the link, they will be required to enter their login credentials like username/application number and password. DU LLM admit card 2019 will now appear on the candidates’ screens. Now candidates will have to click on the ‘download’ option. It is advised that they take a few printouts of the admit card and retain them till the time of admission for future purposes. The University of Delhi prescribes the exam pattern of DU LLM 2019 for candidates taking the entrance examination. The DU LLM 2019 exam pattern mentions the details about the pattern and syllabus of the entrance test. Candidates are advised to go through the exam pattern so that they can prepare accordingly and secure a high score in the entrance exam. To crack DU LLM entrance exam, candidates should first go through the aforementioned exam pattern and syllabus. Candidates should go through the DU syllabus 2019 and start collecting relevant material on each of the topics and start studying them. It is always advised that candidates make a time table to pin down a vast syllabus within time. Candidates should also practice previous years’ questions of DU LLM entrance exam so that they acquire a grip over the difficulty level and pattern of the paper. The University of Delhi will be conducting the entrance examination in eighteen exam centres of DU LLM 2019. Candidates will be asked to submit their preferences for the exam centres while filling the application form. On the basis of their preferences, candidates will be allotted an exam centre by the university which cannot be changed even upon further requests. However, the university reserves the right to cancel any exam centre owing to various reasons including insufficient number of candidates opting for a particular centre. Following is the list of DU LLM 2019 exam centres. The University of Delhi will be releasing the provisional answer key of DU LLM 2019 in the second week of June 2019 in online mode. The answer key will mention correct answers to the questions asked in the entrance test. Candidates will also be allowed to file objections with the answer key which they will have to send to a given email ID. The university will release a final DU LLM 2019 answer key after taking into account all the objections. Candidates will firstly have to click on the official link to download the answer key. After clicking on the link, a PDF will appear showing the answer key. With the help of the answer key, candidates can start checking their answers against the ones specified in the key. The University of Delhi will announce the result of DU LLM 2019 in the last week of June 2019 in online mode. The result will mention the marks obtained by the candidate and his/her overall and category rank. After checking their DU LLM 2019 result, candidates are advised to download and take its printout for future references. Candidates will first have to click on the official link. After clicking on the link, the results will appear in the form of a PDF. The results will list the names of candidates and their marks and ranks. Candidates will have to locate their names and check their scores. The University of Delhi will start publishing the cut off of DU LLM 2019 in online mode from the last week of June 2019 onwards. The cut offs will specify the minimum scores which candidates will have to score to make it to the merit list and qualify for the counselling rounds. Given below is last year’s cut offs for round one of admissions. 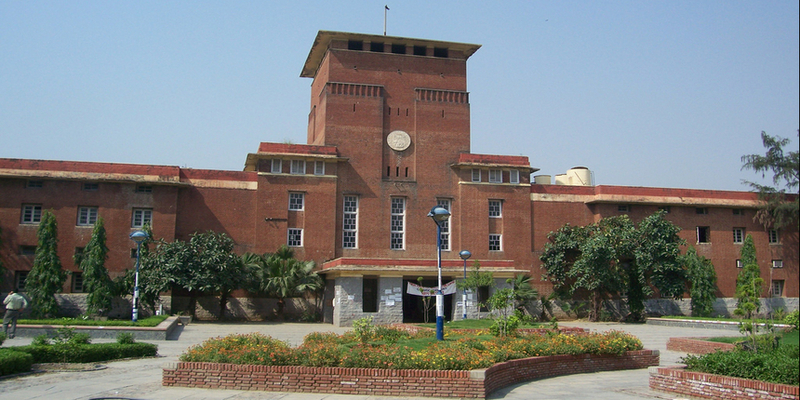 The University of Delhi will go on to publish merit list of DU LLM 2019 from the third week of July 2019 onwards. The merit list will mention the names of the candidates who have fulfilled the cut off and have qualified for the counselling round. Along with the names, their marks, ranks, and the college allotted will be mentioned on the merit list. Candidates will firstly have to click on the official link for merit list. After clicking on the link, a PDF will appear on candidates’ screens displaying the list of candidates who had taken the exam, their marks and ranks. They can download the merit list and take its printout for future references. The University of Delhi will start conducting the counselling of DU LLM 2019 from the third week of July 2019 onwards. Candidates who will meet the cut off and therefore be mentioned on the merit list will have to compulsorily attend the counselling round with the requisite documents. Following are the steps involved in DU LLM 2019 counselling. Firstly, candidates will have to update their qualifying marks in the PG admission portal. Then they will have to publish merit or admission lists specifying the names of candidates selected for counselling round. These candidates will have to login into the admission portal and download and take a printout of the admission form. The admission letter will mention the reporting place where candidates have to attend the counselling round. Candidates will have to report to the given reporting centre on the mentioned date and get their documents verified. Candidates who get an approved status on the admission portal after document verification will have to login the admission portal and pay the admission fee with the help of online payment options. Candidates will then be allotted a seat on the basis of the merit obtained by them in the entrance test. Q. When will the admission process start for DU LLM 2019? A. The admission process will commence with DU LLM 2019 application from May 1, 2019 onwards. Q. When will be the last date to submit the application form of DU LLM? A. The last date to submit the application form is yet to be notified by the university. Q. What mode will the application process for DU LLM 2019 be conducted in? A. The application process will be conducted in online mode. Q. What mode will the entrance exam for DU LLM 2019 be conducted in? A. The entrance test will be conducted in the online mode. Q. What will be the duration and maximum marks of DU LLM 2019? A. The entrance examination will be conducted for a total of two hours and will be for maximum 400 marks. Q. How many seats are offered by the university for two year DU LLM programme? A. 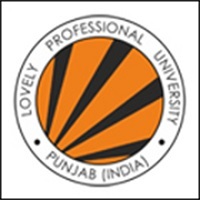 The university offers a total of 60 seats in the programme. Q. What will be the linguistic medium of DU LLM 2019 entrance exam? A. The examination will be conducted in the English language.